Read on to find out more about the book, the author and the series. Langbourne is the first book in a series of books based on the lives of two brothers who made Southern Africa their home in the late 1800s. The year is 1891, and two young boys (aged only 15 and 16) escape the poverty, cold and hunger of Ireland to find a new life in South Africa. The Langbourne series is based on a true story. I really enjoy this series. It is fascinating reading about life for these boys in a South Africa that is much wilder than our own. It is also interesting to read about the 1890’s versions of places I know. I am therefore extremely excited to launch this competition for our readers and am offering you a chance to win your own copy of the first in the series – Langbourne. Alan Landau was born in Salisbury, Rhodesia (now Harare, Zimbabwe) in 1959. He migrated to Brisbane, Australia in 2001 where he currently lives. Alan began his working career as a member of the British South African Police (formerly BSAC), but has worked in the tobacco industry, travel, tourism, hotel, property, financial and retail sectors. He has served his communities via Rotary International with focus on the Rotary Youth Exchange program. ​Currently, Alan is semi-retired and spends his time pursuing his hobbies of writing, travelling, wildlife and ornithology with his wife Sharon. You can read more about Alan’s life on his website. His books are available for purchase as paperbacks, audio-books and e-books. 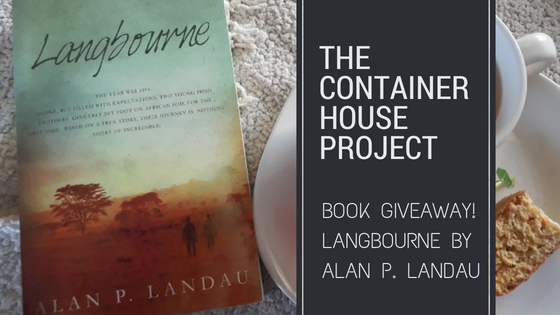 Book Giveaway – Win a Copy of Langbourne by Alan P. Landau! A huge thank you to the author, Alan P. Landau, for sponsoring us a copy of his awesome book as a prize.